The government will cut feed in tariffs to small-scale by 64% – not the 87% originally mooted – after a backlash to the proposals. This follows hot on the heels of the Paris climate change talks, which finished only a few days ago. At the talks the UK government has signed up to a treaty with the goal of “well below” 2 degrees and an aim of pursuing 1.5 degrees. Shortly after the cuts to support for solar were originally announced this autumn, three solar businesses operating in the UK went into administration, and one decided to pull out of operations in the UK. According to the Solar Trade Association 1,800 jobs in the sector have already been lost – out of an industry of around 35,000. A survey found the impact of FiT on community energy projects could mean millions of pounds of investment could be lost. The cuts to domestic solar support that have been announced today mean the feed in tariff that householders receive will be 4.39p/kWh instead of the original proposal of 1.63p/kWh. This is still a considerable cut compared to the current rate of 12p/kWh. The government has also put on a cap to limit the amount of solar that can be installed every quarter, but this capacity can be carried over if unused. The cap allows a larger amount of solar than the original proposal – from 76 to 205 MW. Spending on small scale renewables is due to be capped at £100 million for all technologies, and around £7 million for solar over the coming years. There were 55,000 responses to feed-in tariff consultation, many asking solar tariffs not to be cut because of their impact on jobs and carbon emissions. 90% of responses to the consultation opposed the cuts. 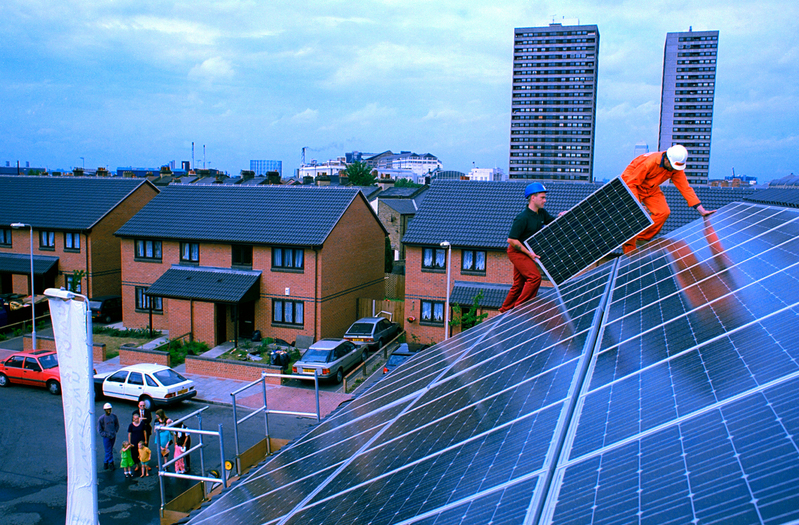 According to DECC’s own survey solar generation is supported by 80% of the UK public. Despite its popularity – and businesses asking for support and stability for renewables – the government has made the cuts saying that they are necessary to reduce the overspend in the Levy Control Framework. Analysts highlighted the government’s inconsistencies over generation source subsidies, pointing out the contrast of solar subsidy cuts with generous support of diesel generation and nuclear.